As you may or may not know, I adore nuts!!! All types, as they are, in my daily smoothie, atop my morning granola! 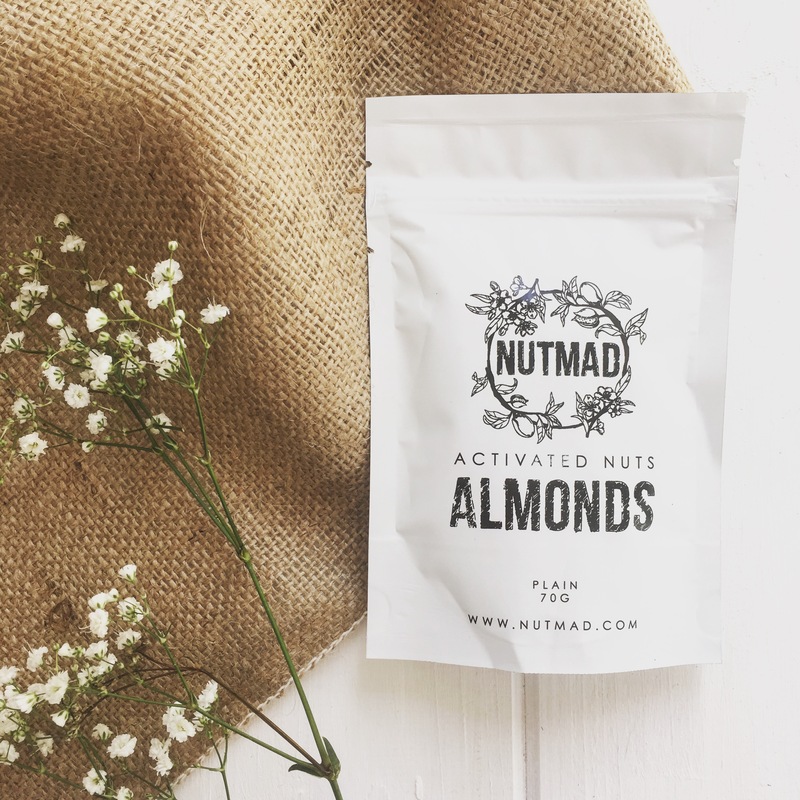 There’s a nut for every occasion in my world so imagine my sheer and absolute delight when I recieved the most amazing parcel from Nutmad activated nuts! All I can say is they are the most delicious nuts I have ever had the pleasure of scoffing!!! Crunchy, light, perfectly-seasoned and no bloat!!!!! 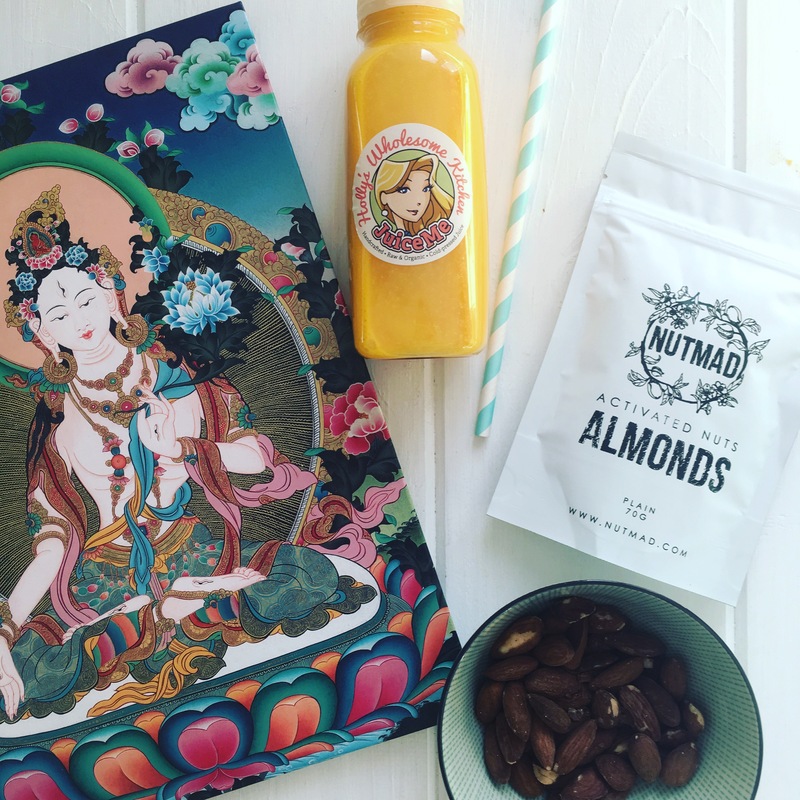 I caught-up with the amazing Michaela, Nutmads founder and fellow nut-lover to talk all-things nuts! Why are nuts better for us when they are activated? Nuts and seeds are known to be riddled with nutrients. But they also contain natural chemicals, which can bind their nutrients such as iron, zinc, calcium, manganese, etc., and don’t allow the body to absorb them fully. Soaking in water breaks down these natural chemicals and makes the good stuff more available. What are the benefits for digestion? Many people feel heavy or bloated after eating nuts. That’s because of their enzyme inhibitors that put a real strain on our digestive system. Soaking removes those enzyme inhibitors and makes nuts much easier to digest and, last but not least, so much tastier, because it reduces their bitterness. At Nutmad we soak the nuts in filtered water and dry them for long hours at low temperature until they get really crunchy. If we add a flavour, it’s very subtle, to keep the natural great taste of the nut. It’s a general perception that snacking is a guilty pleasure. I think, it doesn’t have to be, if you choose the right snack. 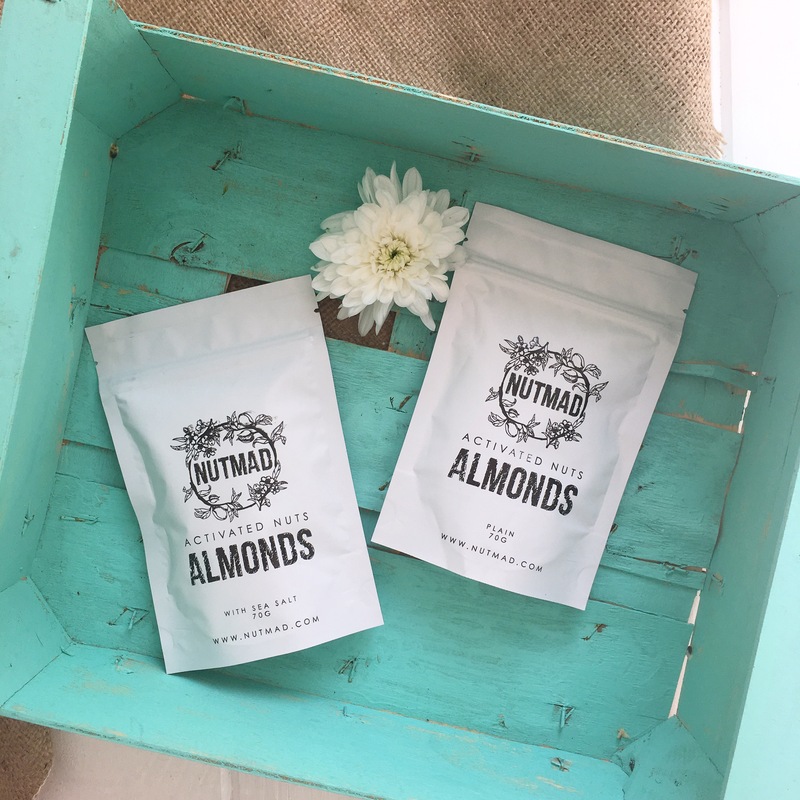 The idea for Nutmad was born after years of mastering the activated nuts at home for family and friends. As a passionate snacker I understand that a good snack has to taste great and keep the hunger at bay. But it also needs to be healthy, and make you feel good. Nuts have always been one of my favourite snacks but eating them often made me feel heavy and sluggish. In fact, during pregnancy, non-activated nuts even made me feel nauseous and I almost missed a New Year’s party because of that. When I tried activated nuts, I was first fascinated by how delicious they were. Later on, I found out about their health benefits. Soaking nuts is an old traditional method, which being practised in countries like India and Sri Lanka for example. In the Ayurvedic medicine, where everything is about good digestion and gut health, it’s being recommended to soak the nuts overnight for a balanced diet. I am most definitely an activated nut concert and I can’t wait to see what the future holds for this amazing brand!